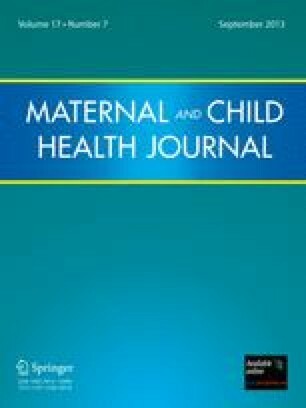 The aim of this study was to evaluate whether a new low-cost strategy for the introduction of magnesium sulphate (MgSO4) for preeclampsia and eclampsia in low-resource areas will result in improved maternal and perinatal outcomes. Doctors and midwives from ten hospitals in Kano, Nigeria, were trained on the use of MgSO4. The trained health workers later conducted step-down trainings at their health facilities. MgSO4, treatment protocol, patella hammer, and calcium gluconate were then supplied to the hospitals. Data was collected through structured data forms. The data was analyzed using SPSS software. From February 2008 to January 2009, 1,045 patients with severe preeclampsia and eclampsia were treated. The case fatality rate for severe preeclampsia and eclampsia fell from 20.9 % (95 % CI 18.7–23.2) to 2.3 % (95 % CI 1.5–3.5). The perinatal mortality rate was 12.3 % as compared to 35.3 % in a center using diazepam. Introduction of MgSO4 in low-resource settings led to improved maternal and fetal outcomes in patients presenting with severe pre-eclampsia and eclampsia. Training of health workers on updated evidence-based interventions and providing an enabling environment for their practice are important components to the attainment of the Millenium Development Goals (MDG) in developing countries. United Nations. Millennium Development Goals. 2007 progress report 2007, http://mdgs.un.org/unsd/mdg/default.aspx. Accessed January 2011. National Population Commission. (2006). Population and housing census of the Federal Republic of Nigeria. Available from http://www.population.gov.ng/images/stories/Priority%20Tables%20Volume%20I-update.pdf (Accessed July 14th 2011). National Population Commission (NPC) and ICF Macro. (2008). Nigeria Demographic and Health Survey (NDHS). http://www.measuredhs.com/pubs/pdf/GF15/GF15.pdf. Firoz, T. et al. (2011). Pre-eclampsia in low and middle income countries. Best Practice & Research Clinical Obstetrics and Gynaecology. doi: 10.1016/j.bpobgyn.2011.04.002.